Major nighttime delays can be expected on Interstate 5 between Orange and San Diego counties starting Monday night as three of the four lanes are closed in each direction across Camp Pendleton overnight for freeway repaving. 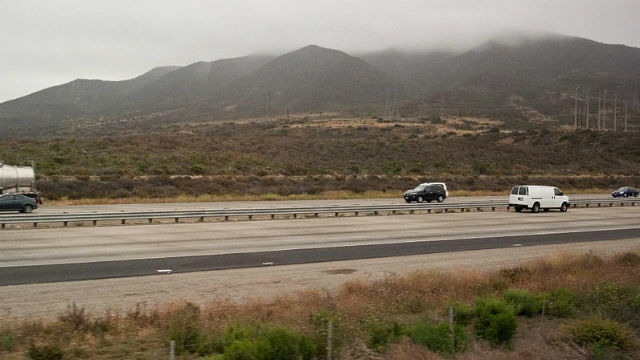 Caltrans contractors and crews will close three of the four freeway lanes in two- mile sections of both directions between the Aliso Creek Rest Area and the Orange-San Diego county line. No detour is available across the Camp Pendleton Marine Corps base. The only alternate route is Interstate 15 through Corona and Escondido. Lane closures will begin at 7:30 p.m. and end at 5 a.m. the next day tonight through Thursday. On Friday and Saturday night, the closures will start at 9 p.m. and end around 8 or 9 a.m., Caltrans said. The closures are part of the $43 million Interstate 5 Ocean View Rehabilitation Project.